Basic model produces excellent heat! Dimmer control and stylish design upgrades! Deluxe, set-it and forget it ease! Carol“The Continuous brew system is a snap to set up and easy to maintain. 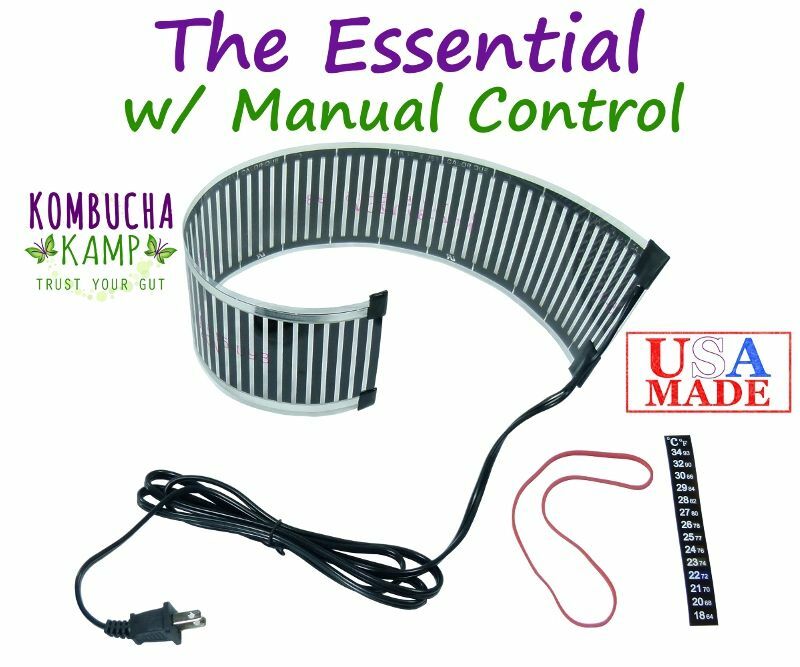 As someone new to brewing Kombucha, I LOVE this nearly fool-proof method, especially the useful set up videos. And, Hannah, your tea blend is wonderful! Tom Gehr (Oak Forest, IL.) Continuous brewing is the way to go. Just makes things easier. Bought this crock for Jun Tea. Crock is top notch, and so is stainless spigot. All arrived in perfect condition in a timely manner. You can get from other other places, but quality at KKamp is the best as is customer support. The continuous brewer is just perfect, love your products and love your support! So pleased with my continuous brewer and the stainless steel spigot is great. The videos and genius guide set up directions made getting started so easy. I give both the brewer and customer service 5 stars, thanks, kombucha kamp! I have been doing batch brewing for two years and decided to try continuous brew. I love it! The porcelain vessel is great. I also chose the stainless steel spigot. I also use the Ferment Friend as my warmer. I love that I can get all these great products that work together all in one location! Thank you!! I am so glad I upgraded to the continuous brew system. I love the porcelain vessel and wood stand with the pretty blue brew cap. It is so easy to add the sweet tea, check the scoby and decant the KT when it is time to bottle it. 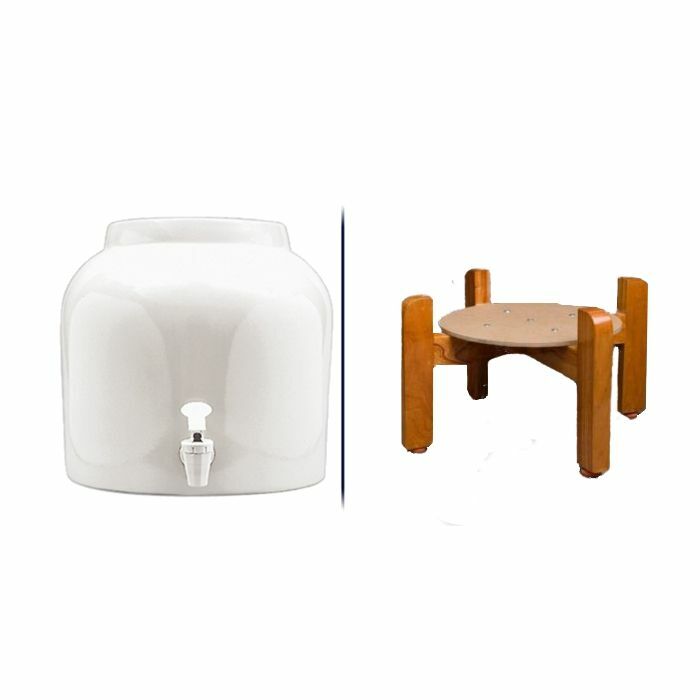 Both the vessel and stand are top quality. Why did I wait so long? Having struggled with quart jars, dealing with the constant monitoring and changing and cleaning, I decided to go with the Continuous brewing and have been thrilled with the process ever since. 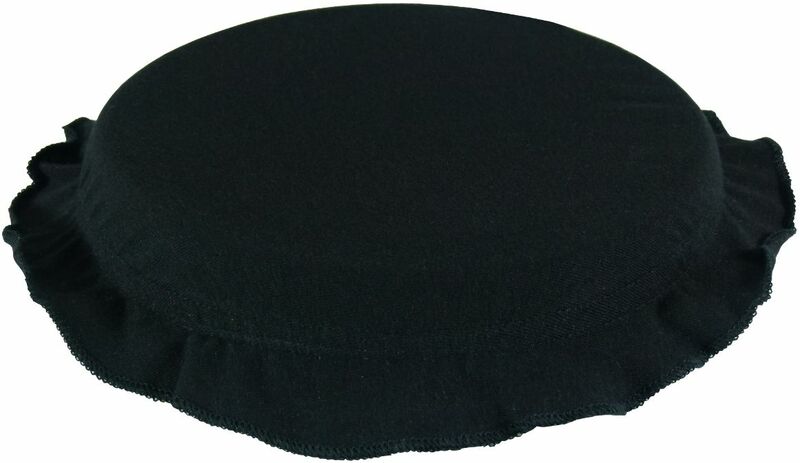 The black crock with the black top and black stand creates a classy addition to my 'kitchen' area. 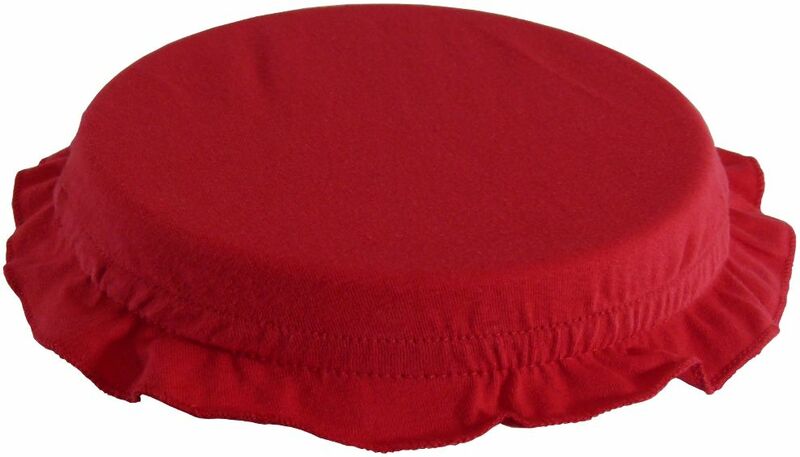 The quality of your products are great and the accompanying service is second to none. Not only do my wife and I are pleased with your porcelain brewers, but so are my adult children and my grand daughters as they anticipate their weekly delivery of healthy fun drinks of Kombucha. Thanks again for providing such a good product for Kombucha making. I love the crock and my sister went crazy over the one like it I sent her for Christmas! I give your products and service 5 stars, for sure!! Will be reaching out again in the future for help with making coconut milk yogurt. Thanks again!! I absolutely love my continuous brewer. It is so much easier than the one brew method. The shipping was fast and the quality was great! I’ve bought all of my Kombucha products from Kombucha Kamp and I have yet to be disappointed. Great pride and I will continue to only buy from them. 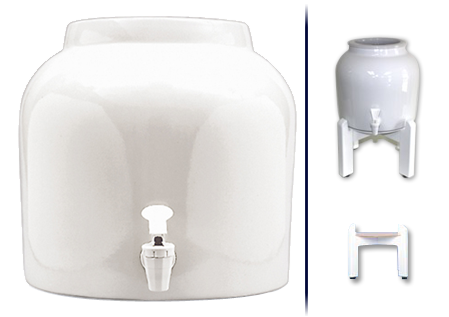 I purchased a porcelain vessel with stainless steel spigot upgrade and a stand, along with scoby packets for continuous brew. I changed my mind about the stand color and the Kombucha Mamma readily accommodated my request for an exchange. My kombucha is now on tap and delicious-so glad I found Kombucha Kamp! 5 Star review! 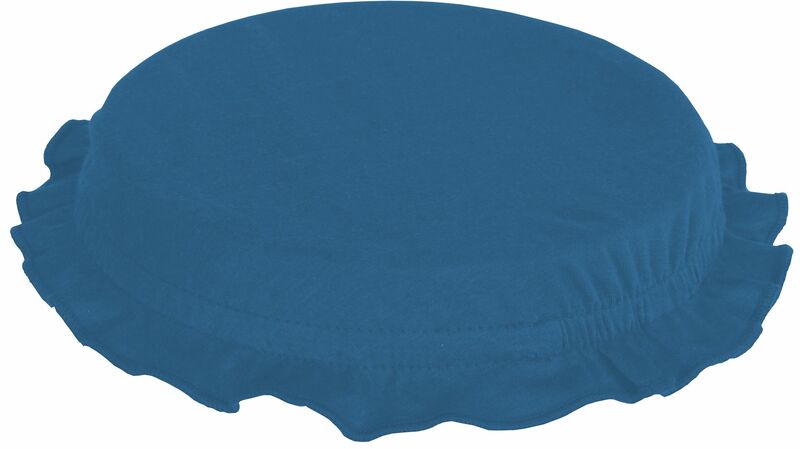 Great product with quick shipping. The post-purchase support is second to none. My questions were answered promptly and they had a tremendous amount of knowledge on how to help me. I will be recommending Kombucha Kamp to others and will be placing more orders in the future! Thanks again! Was very happy with the quality of the crock. I upgraded to the stainless spigot and am very happy with it as well. I am excited to start the CB with my new equipment. Have been brewing kombucha for two years. I finally made the investment in one of KM's continuous brew vessels. The kombucha is fabulous and is typically ready in 7 days. The stand makes dispensing very easy. Thanks Hannah for a great product! I love my stylish black vessel, it is very easy to use compared to the batch method. Hannah has been very easy to deal with, helpful and prompt to answer my questions. I also love her book, full of information and easy to follow. 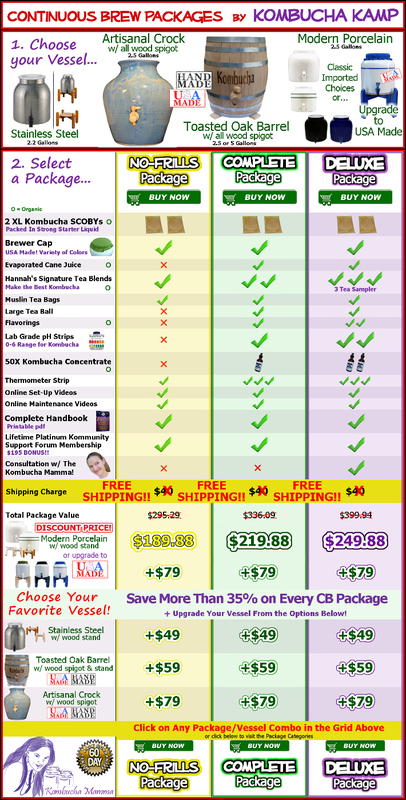 I recommend Kombucha Kamp to anyone who is interested in home brewing! 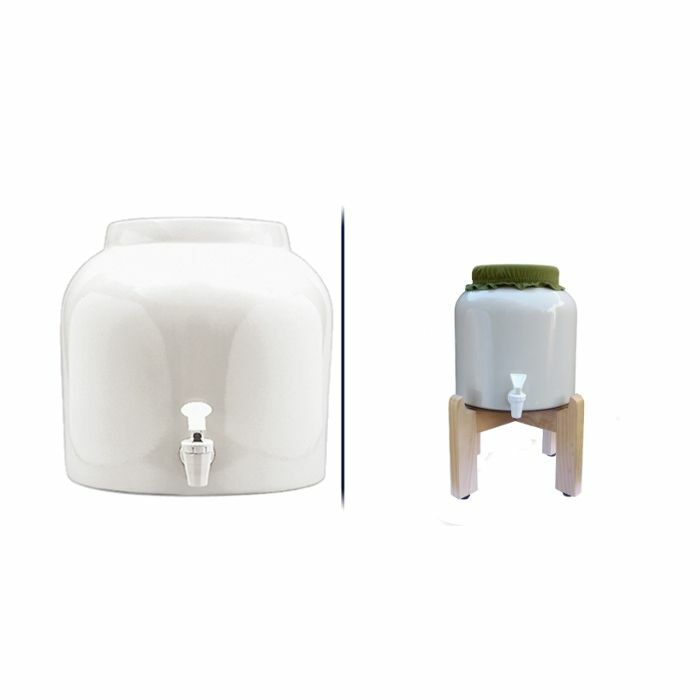 I ordered two of the ceramic brewing vessels and the heating strip that has the automatic temperature control, along with materials needed to make the kombucha. The set up was easy because of Hannah's instructions. 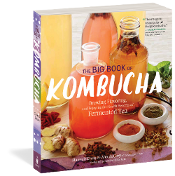 Once the yeast builds up in my brew and I get the taste I love, I know that this continuous brewing method will serve us well and keep us in plenty of kombucha with minimal effort. The brewing vessels are very nice to look at, as well. The entire set up went together beautifully. Thank you so much for all of your help! I really appreciate it. 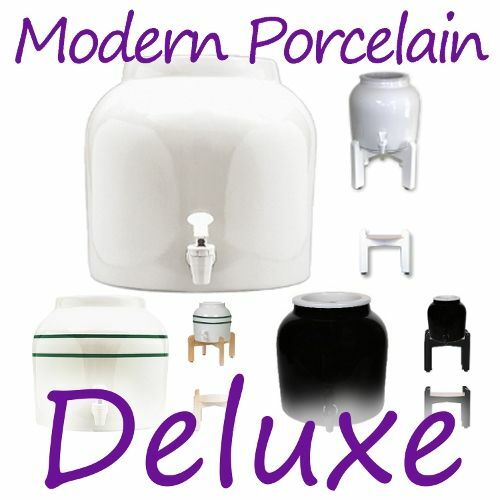 I received this product the continuous porcelain Brewer and absolutely love it. The directions were so clear and it works fabulously. Even after my first attempt with this Brewer it worked perfectly. I am now brewing every four days with the best Kombucha imaginable. Excellent Product, Excellent Company. 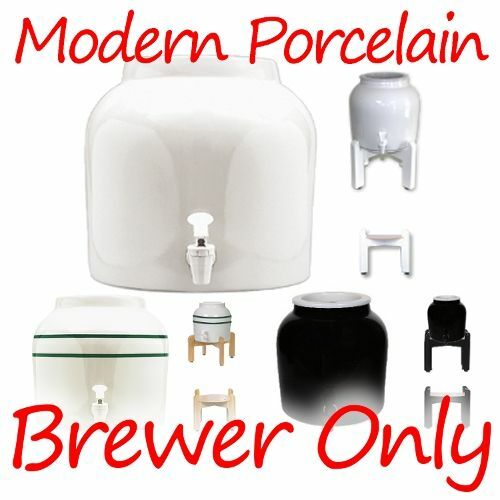 I ordered the Porcelain 2.5 Gallon Continuous Brewing System. 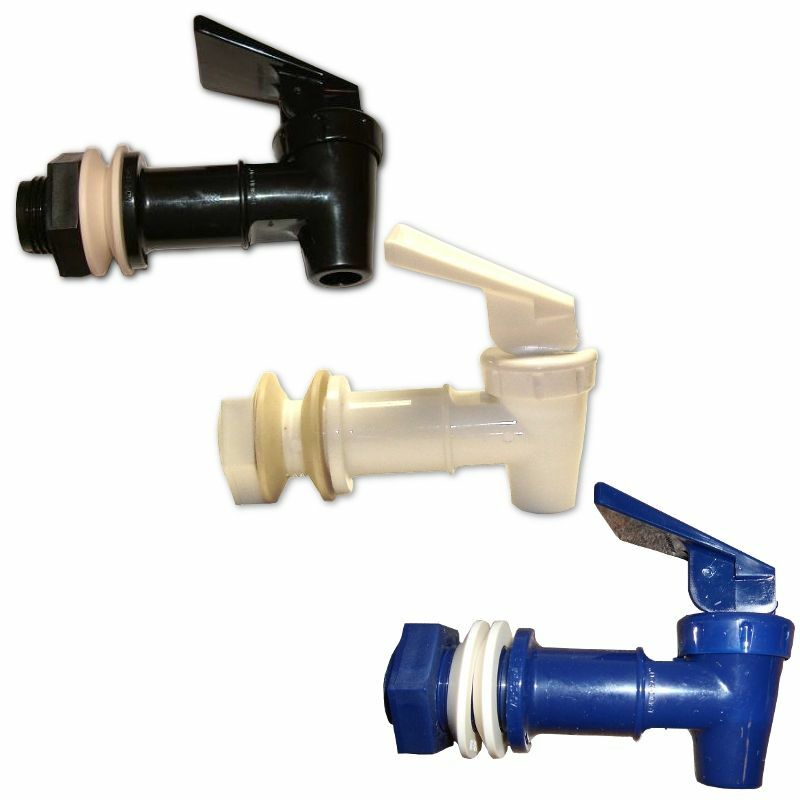 I ordered the optional SS spigot. I absolutely love this product. I was given setup videos that are very helpful and thorough. Every question I have sent to Kombucha Kamp has been answered promptly and satisfactorily. I was having trouble getting the cap to stay on my vessel. I sent them an email and they got right back to me. They advised me to stretch out the elastic slightly, which I did, and it worked like a charm. I am very happy with my purchase. I have also purchased tea and flavoring and brewing supplies. I brewed my first batch of tea using the continuous Kombucha process. Originally I purchased the two SCOBYs, then realized that I needed a brewing pot to do a continuous brew method. 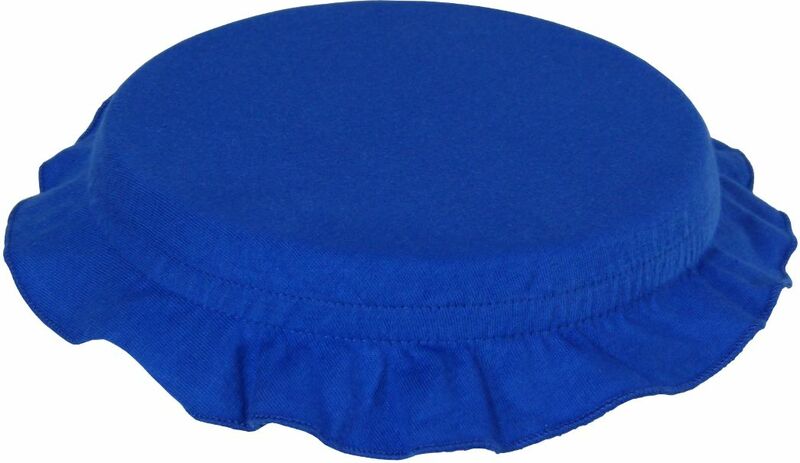 I read the information on the website and other customer reviews and concluded that I needed a big brew pot, spigot and cloth cap. I purchased those items and they were expedited to me. I decanted my first gallon of Kombucha tea this morning and it was wonderful. Very effervescent and flavorful. I am looking forward to experimenting with additional fruit flavorings and enhancing the effervescence. So far so good. The customer service by Kombucha Kamp has been excellent. I would give them 5 stars. I have to say that I had a bad experience with a non-kombucha mama brewing carafe. I had bought a 2.2 gallon tea "dispenser" from walmart, thinking that would work for my brewing. There ended up being several problems with it. 1) It was clear, so I would have had to store it in my pantry to keep it out of the light, and my pantry is not heated in the winter time. 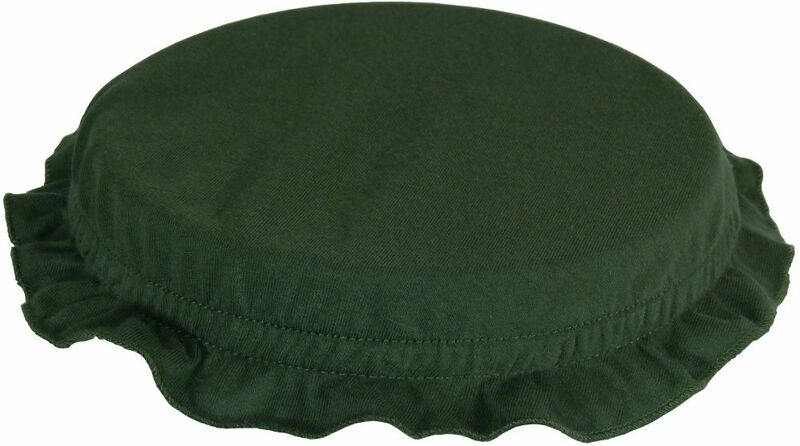 2) It had a glass cover with a rubber seal, so I would have had to make my own cloth cover 3) Most importantly, it was meant for DISPENSING tea, not brewing it. 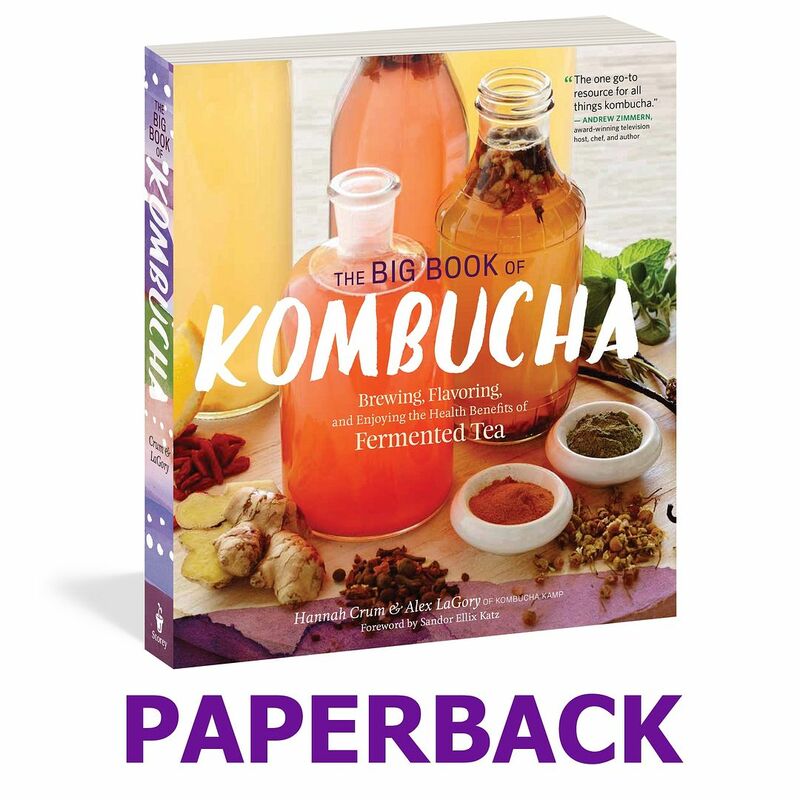 The first time I tried to use it, following Kombucha Mama's directions, I poured the hot water into the carafe with the tea bags already in it to brew. It promptly SHATTERED. The carafe wasn't cold, it was room temperature, but it wasn't made sturdy enough to hold up to the hot water. Since then, I'm paranoid of breaking my porcelain brewer, so I boil my water in a pot on the stove, add my tea bags to the pot, wait for it to brew, then take the tea bags out and wait for the water to cool to nearly room temperature before I add it to my brewer. All in all, I'm VERY pleased so far with my brewer. Love the porcelain vessel, and the continuous brew. This has been a life changing find! Love the kombucha! This is my second purchase of the same brewer, stand, spigot and cover. I liked the first one so much, I bought another so I can have more kombucha for my family. The brewer is well made, and it comes with a stand that's sturdy and just the right height. 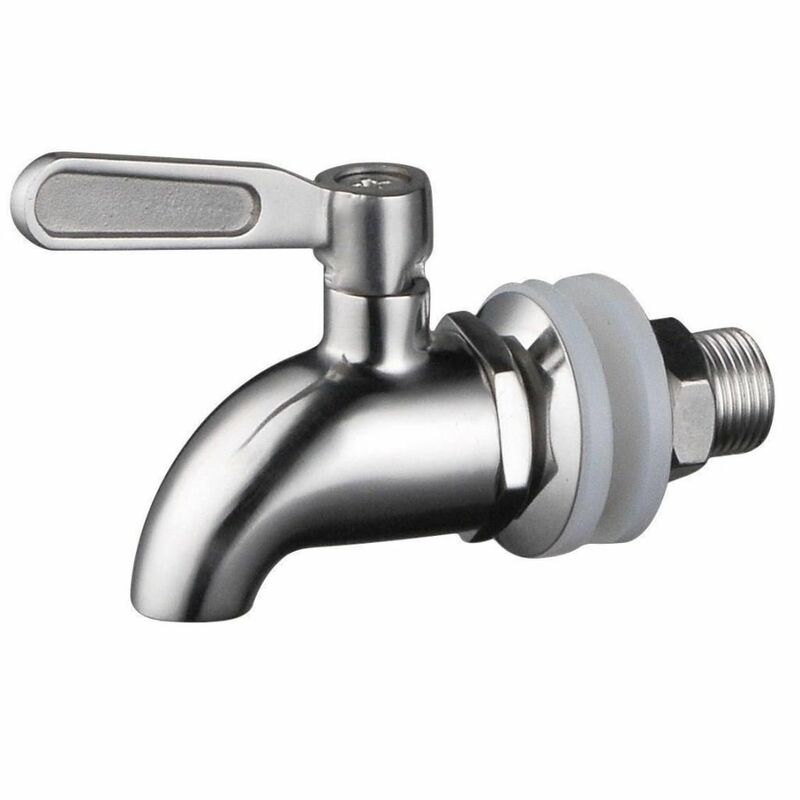 I opted to upgrade the spigot to the stainless steel one and I recommend that very highly. It is so much easier to use and dispenses the kombucha so much faster. Also, it doesn't clog as easily as the plastic one. The cloth cover fits perfectly and looks nice. I love dealing with this company. Everything is handled promptly and lovingly. I decided on this crock and Continuous Brew after just two batch brews when I was drinking it faster than I could brew it! I couldn't be more pleased with this system. I did purchase the stainless steel spigot elsewhere and it works perfect with this crock. Along with the Essential Heating Strip and Brewer Cap, I feel it is the easiest and simplest way to enjoy KT with minimal effort. I just make a fresh gallon of sweet tea every Saturday and drink as much as I want on tap all week! 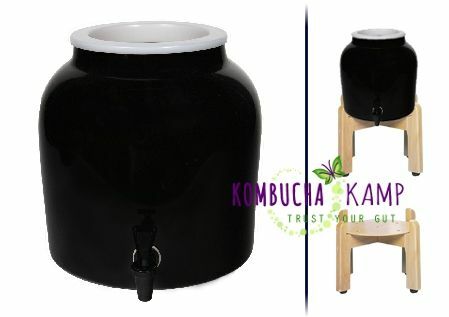 My husband and I love drinking from a tap, he has a Kegerator and I have my Booch Crock! Life is good! Continuous brewing is very convenient! 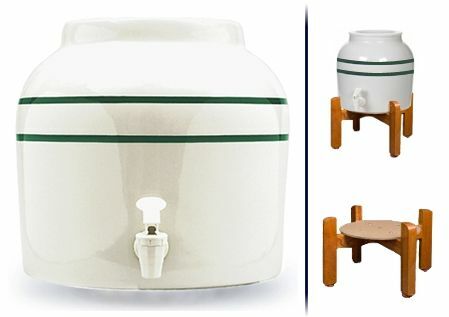 Ceramic crock, spigot and stand all very easy to put together. Remember to keep the circle disk with the stand and install it. Easy to throw this away by mistake. Very detailed brewing instructions provided with download. Give it a try! I purchased a ceramic continuous brew vessel, along with a stainless steel spigot. I love the fact I can place my bottles for the 2F under the spigot and found it easy to use and do not have to worry about spilling or losing any tea. Whenever I want a glass I can easily get one at anytime. Love the fact I do not have to start over, cleaning my vessel and going through the whole process again and again. With this vessel I only have to clean it about every 4 months or so. Excellent products and service. Thank you so much. 5 stars across. After trying out Kombucha by the batch method I decided I was REALLY going to do this. I chose the modern porcelain, got the Tee Shirt & cap...oh, these are just too cute & they cover up the heaters & add a decorator touch to the brewer....ingenious. I would love to see a white set, too. 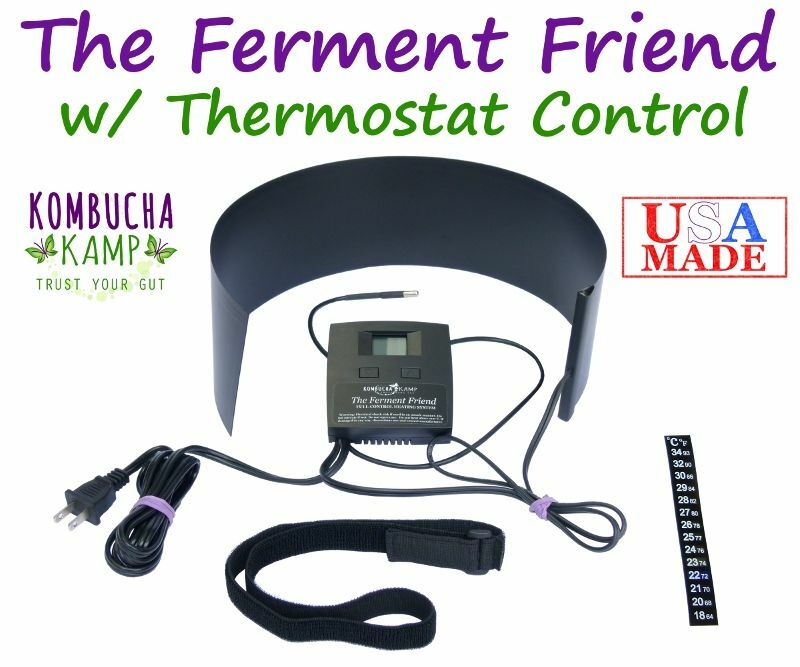 I got all three of the heaters so I could do a batch brew of coffee Kombucha & any other experimental flavors I wanted to try...so I wrap the Essential Heating Strip around those two gallon jars & the Ferment Friend Heater with thermostat around the continuous brew pot. In the beginning I tested all the of the heaters, wrapped around the jars, with a digital thermometer & I had an issue where the Ferment Friend didn't read what the digital thermometer read. Hannah sent me instructions on how to calibrate it & it's reading correctly now. I haven't had enough going yet to use the Year Round Heating system but these things are great! Thin, flexible, easy to handle. I upgraded to the stainless spigot & I love it...so easy to use. I do keep a piece of plastic wrap or press & seal covering the opening to keep out the fruit flies. I have to say about Hannah's blend of tea, thank you so much, Hanna...it's so much better than just the green tea & black tea I had started with. Really great tasting & making it in the continuous brew crock is so much easier & tastier. I also got two of Hanna's Scobies which it takes two for the Continuous Brew & they have been good, too. I am thoroughly happy with my purchases from Kombucha Kamp! This has simplified my weekend ritual of batch brewing so much. It's shaved probably 30 minutes off the process. My favorite part is being able to drink straight from the tap after only about three days. 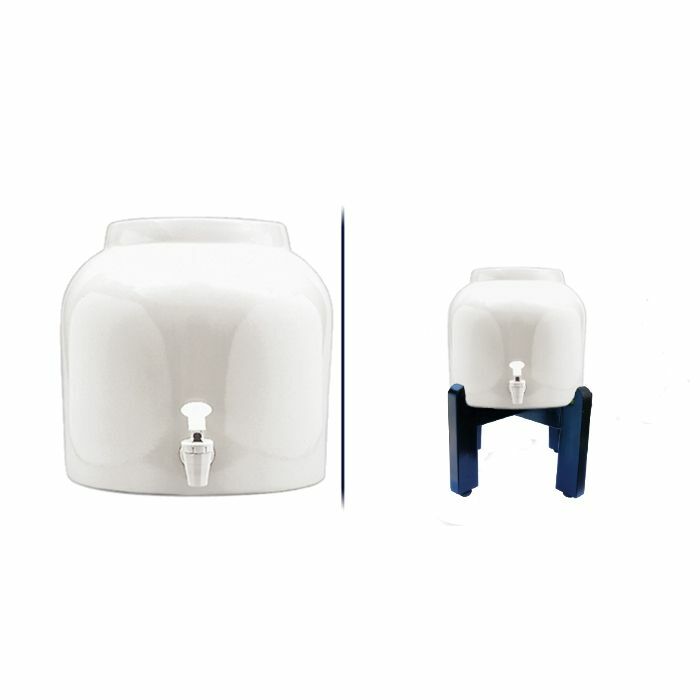 Good quality container with a perfectly fitted cap....spigot placement is perfect. Stand is sturdy and works well. Very pleased with this brewer! I am thrilled with my continuous brewing system! I am currently brewing my 4th batch and was thrilled to find two baby SCOBY under the mother and they are now in their own jar brewing more KT! Thank you for making such wonderful products! I just got by system. Everything is black and it looks great on my black granite counter. I am currently brewing a batch in a big glass jar and then I will start my booch in my vessel. Should be good. I love this continuous brewer. It makes brewing so much easier and so much less mess than the way I started brewing, which was in a glass jar and had to strain and pour. This makes it easy to take a gallon or just a glass right from the tap. It also looks a lot nicer on the counter. Love it! I am so glad I bit the bullet and ordered the continuous brewing system to begin with. I had never tried to brew before and my sister uses the batch method. This is so much easier and convenient. The crock on the stand easily fits on the counter under the cupboard and easily slides forward when I need to fill it. Because it is on a stand it is easy to fill up a glass when I want a drink. One caution. When the instructions say make sure it doesn't leak,MAKE SURE YOU REALLY TEST IT BEFORE YOU FILL IT WITH TEA. I filled mine with water after I attached the spigot but I hadn't dried the out side off and didn't notice that there was a tiny ooze until I put the Brewer Tee on it. Thankfully I was able to wash my arm well and reach in and tighten it and get it to stop wihout having to empty it. Thankfully I didn't contaminate my SCOBY and everything came out fine in the end. I would suggest touching the area where the spigot is attached with a paper towel after the crock has been completely filled and dried. 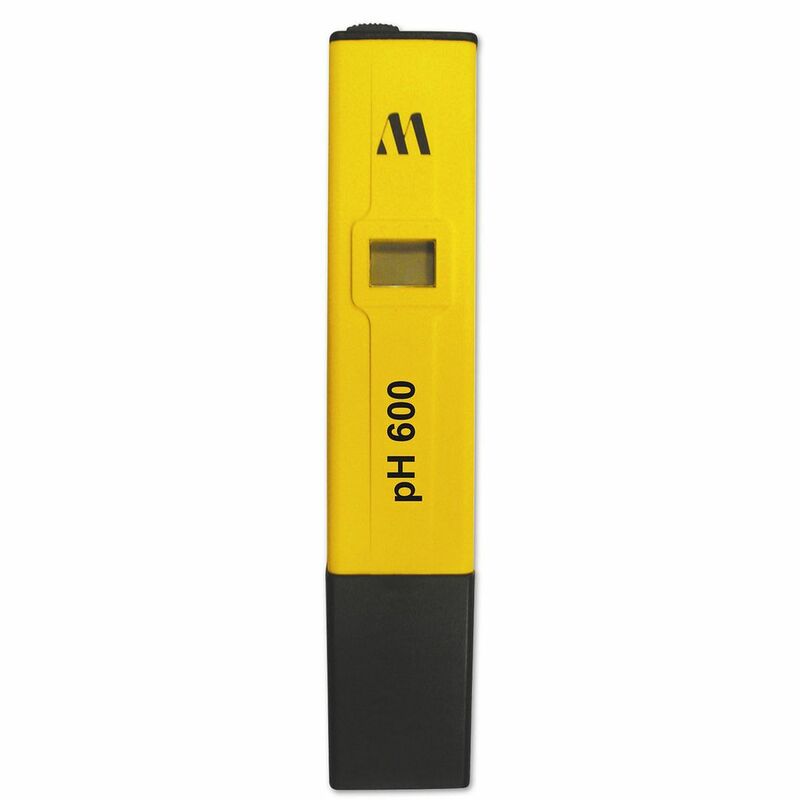 That should pick up any microscopic leaks and save you from alot of extra work and panic. I originally wanted the artsan crock or the USA make one but I would have had to wait and I was anxious to get started. 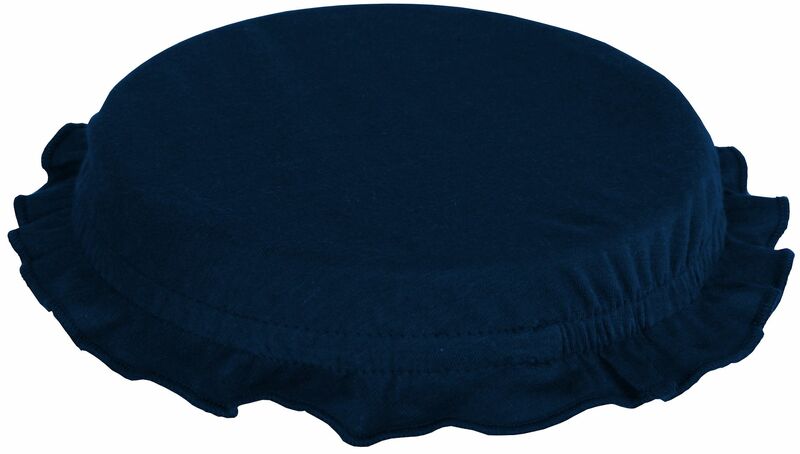 I am actually happy I got this one because of its, size shape, style and stand go perfectly with my decore. I got the plain white crock with the natural wood stand. They are beautiful and well made with clear instructions and simple assembly. FYI the avacado Brewer Tee really looks nice. I quit making kombucha years ago because of the hassle of the single batch method. This continuous brewing vessel and system is AMAZING!! So easy and the quality of my brew is consistent and delicious - much better than when I used the single batch method. Good quality product, excellent customer service and support - HIGHLY recommend! Nicely made, classic design. Fits under the kitchen cabinet perfectly. My first batch of Kombucha is finished and I loved the convenience of the spout on the crock and the stand to raise the crock from the counter. 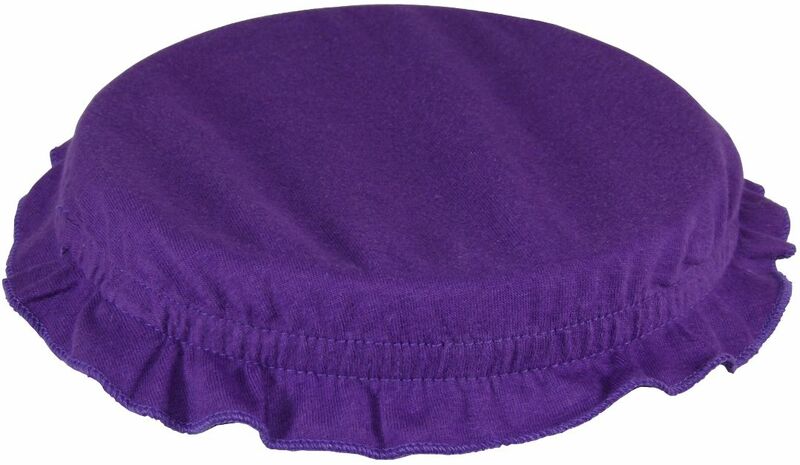 I love my plain stoneware continuous brew and stand and cute little purple cap. They look nice in my kitchen and work well when brewing. I had no trouble setting up except some screw holes didn’t line up very well in the stand. But it is fine. Thanks for all the help and personal touch in the transaction. Well my order finally turned up in remarkable condition considering the journey it has made. Annoyingly when it finally arrived in the UK it was then held up by customs and I had to pay an extra tax, but it was still worth it. It is so much better than the one I have already. It is now on my work surface ready and waiting for the transfer. I ordered the continuous brewer after batch brewing several times. I love the convenience and less work. It's awesome to go right to my tap, but I also 2nd ferment too. The brewer is easy to set up although the wooden stand could use a few modifications -- the screws didn't fit well, but I made it work. Thanks Hannah for your persona care and products. 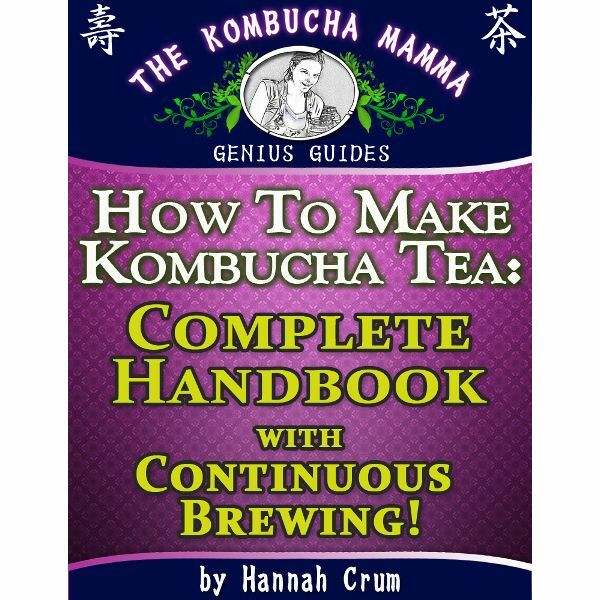 I love Kombucha Continuous Brewing! I'm pretty new at Kombucha making but I have been making raw milk kefir & fermented veggies for about 3 years now & I really believe our gut is the basis of our health. I have wanted to start making Kombucha but just hadn't found the right time until I came across your Scoby on Amazon, I ordered 1 & when I received that in the mail I got on your site & saw the continuous brew system & that made perfect sense to me, so much easier & actually a lot of fun, So I ordered the whole brewing kit,another Scoby, your special blend tea, heater & all I am really enjoying "the process" I have just bottled my first 5 bottles & flavored them with some flavors I ordered from you, I just couldn't wait 3 days so I popped one bottle opened & my husband & I finished it off, man that is some good stuff, I believe I'm hooked! Thanks so much for the great customer service & for calling me back twice! I love your special tea blend & glad I ordered a whole lb. Keep up the good work! We began brewing in glass jars but keeping up with production was time consuming. The continuous brewer has simplified this and the crock looks fine on the counter. We don't use the stand but the cloth lids are great. You have the "go to" site for kombucha brewing. Thanks! Perfect vessel for brewing Kombucha. 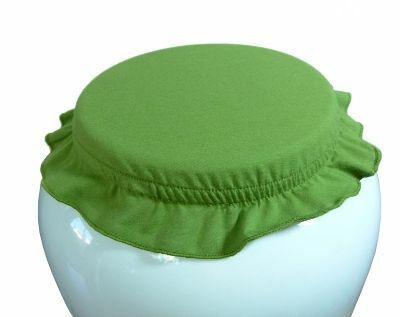 I really love my "I dream of greenie" crock! It's very cute! I had been batch brewing a gallon at a time but got so tired of having to remove the scoby every time and risk contamination. This continuous brewer was the answer for me. I will say that while the stand looks nice, it is pretty cheaply made and part of it is like a cardboard, it is not 100% wood. The screws did not all even go in straight. I was very happy with the video instructions and free shipping. My oldest child is 8 and she really enjoys helping herself to fresh kombucha tea right from the spigot! The stand you get with the "No Frills" package is a great item. It raises the crock to make bottling your Kombucha so much easier. I was very happy with the quality. Continuous brewing is the only way to go to make kombucha! So much easier than making it by the gallon! The crock I purchased was well made, the stand at just the right height. Thanks again Kombucha Kamp for all the thought you put into all the great products you make available to us. It makes our brewing experiences exceptional! I absolutely LOVE my continuous brewer. Everything is so much simpler and I feel like I'm less likely to contaminate my kombucha. :) The special tea blend is delicious too. I've been enjoying it without additional flavoring. Today I got my first Kombucha from your continuous brewer. My order arrived but it was preceded by your various videos and other literature, so I had no trouble setting it up. The first brew came off without a hitch. 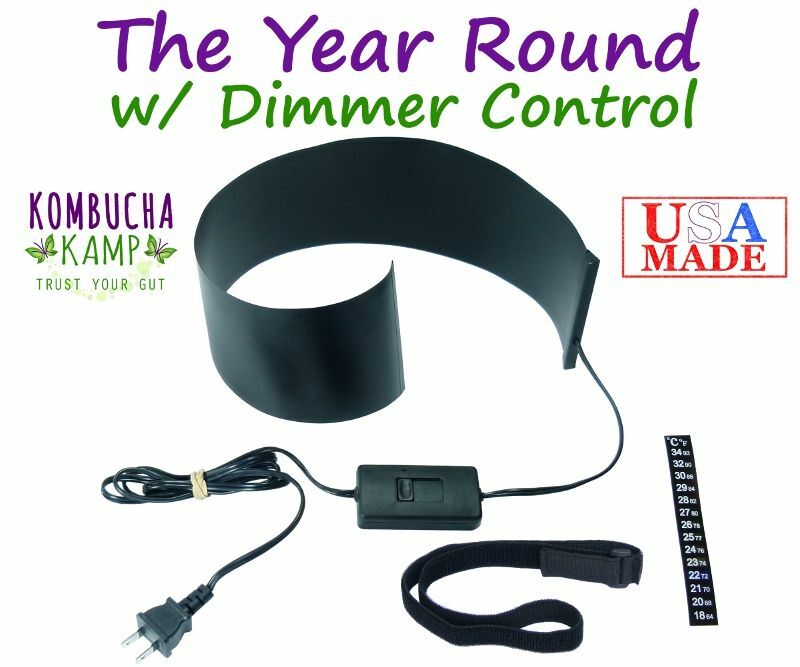 So I ordered the white brewer with dimmer system and 2 Flavor Saver sets and began to count down the days to their arrival. I followed the amazing set-up instructions from the CB Set Up Videos (awesome series!!) and waited for the magic to happen. I don't recall ever waiting so long for 8 days to pass. On the 8th day I lifted the lid of my brewer and what did I spy you ask??? THE MOST beautifully formed, perfectly opaque scoby I have EVER seen! Oh, and that heavenly KT aroma wafting around my nose. OMG!! My heart sang. I felt compelled to site and tell you all about it. In summary, I'm incredibly happy with my purchases. I even ordered a batch of Hannah's Special Tea Blend because I was so impressed with the sample I was given earlier. Thank you so much for doing what you do. You're making the world a better place. Seriously. I love the continuous brewer! It makes keeping it on hand so much easier. Love that I don't have to worry so much about contamination since there is no transferring of the scobie each time. Glad that I made the investment! Very happy with my Continues Brewer from Kombucha Kamp. I love my continuous brewer!! I get to drink Kombucha that taste just like the store bought brands every day for pennies!!!! RIIIGHTOUS!! I started brewing Kombucha in gallon jars and it was working well but I was concerned about maintaining the correct temperature through the winter since I don’t heat my house. Even in FL it won't stay warm enough to brew Kombucha with no heat. I really liked the heating system with the dimmer switch and loved that it fit right on the brewer…so naturally I needed a brewer too. I'm only on my second batch using the brewer but I love it. It is so much easier and my Kombucha will weather the winter just fine. In fact, I still have several jars brewing as well and I intend to add another brewer and heating system as soon as possible. Thanks for your quality products and informative website! This brewer makes so much sense; easy, clean,fast, wonderful! I ordered my Kombucha scoby and started batch brewing, then decided to go with continuous brew as it sounded easier and healthier. I received my "I dream of greenie" brewer in just a few days. I absolutely love continuous brewing. 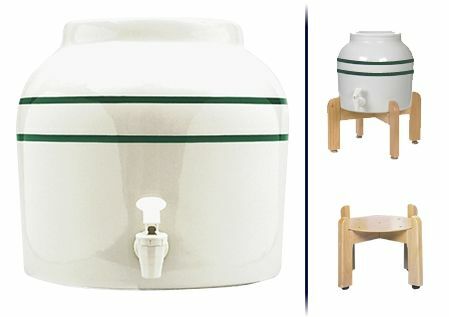 The set up is very easy and the crock and stand are cute sitting on my counter. It's so nice to be able to dispense my kombucha right from the tap! I am now experimenting with different flavors (my favorite is blue berries) and I have even made kombucha cocktails. I am really loving this website and my brewer! I'm very pleased with the quality of this brewer and stand. Its very well made and sturdy. I would suggest getting the whole kit. I am ecstatic about the the tea (HSB)! Nice job Hannah! This continuous brewer is a beautiful thing to look at as well as super easy to use. With my busy schedule it is a snap to have tea at my fingertips with little work. Thank you. It is so easy - I make a batch and then can drink from it for several weeks before needing to feed it again. It still allows me to flavor the tea in smaller batches afterwards. Also, because I have a continuous supply and frankly, more then I can drink, I use it to fertilize my plants and make flavored 'gift' batches to give away. Just yesterday, I split my mushroom and it had to have been 2 inches thick because it is much less distrubed by the continuous brew process. Hmm, well... I am still learning and feel like I'm just getting it down but continuous brewing in the crock is much easier because there is no transferring from one container to another except for second fermentation in bottles and there is no no need for washing containers each time I add a new natch of sweet tea. I learned a couple important things from you that have been helpful: first, stop using dish soap to clean containers. No matter how well I rinse, when I follow up with a vinegar rinse there is always soap residue so now I just clean and rinse with vinegar and water. Second, I learned the value/role of both black AND green teas in brewing. I personally favor a higher ratio of black tea but I realize the need to balance growth with the addition of green too. Non-kombucha lovers seem to prefer the milder flavor of the green tea so it's also nice for getting the more reluctant on board!